Bethany Li, attorney at Asian American Legal Defense and Education Fund (AALDEF) speaking on behalf of AALDEF, who recently made a request of small business services to deliver documents pertaining to the BID, and The Coalition To Protect Chinatown and The Lower East Side. 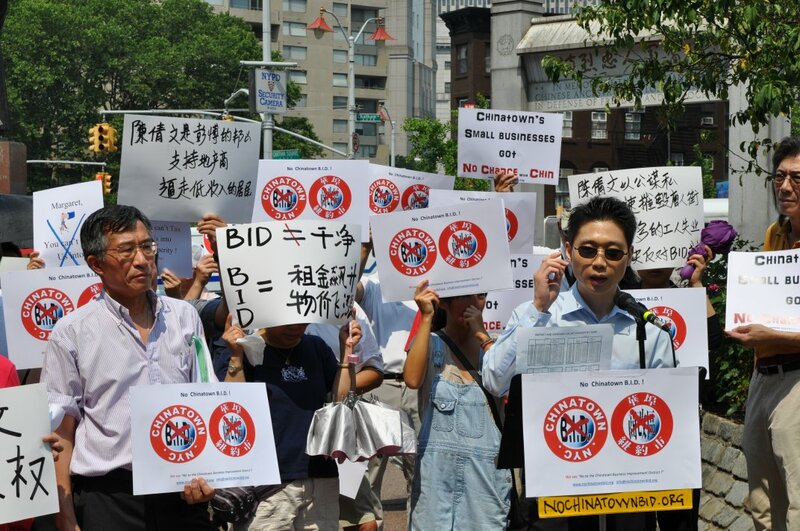 Councilmember Margaret Chin's support for the BID was highly criticized at the rally today. 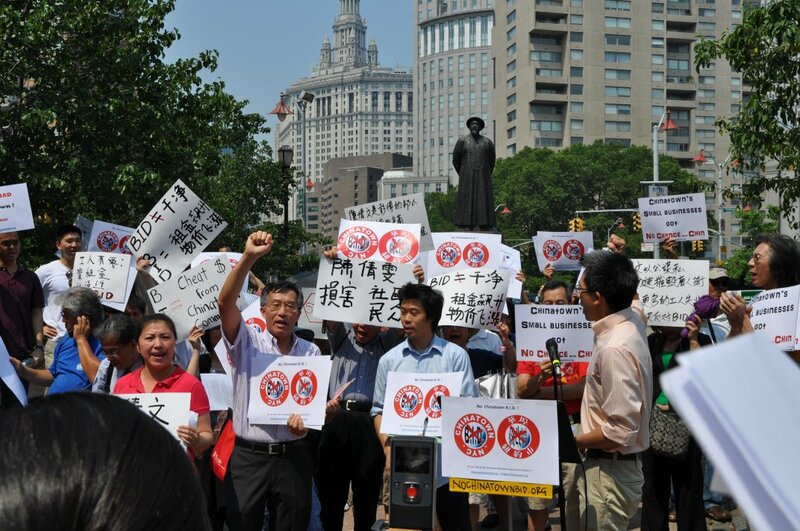 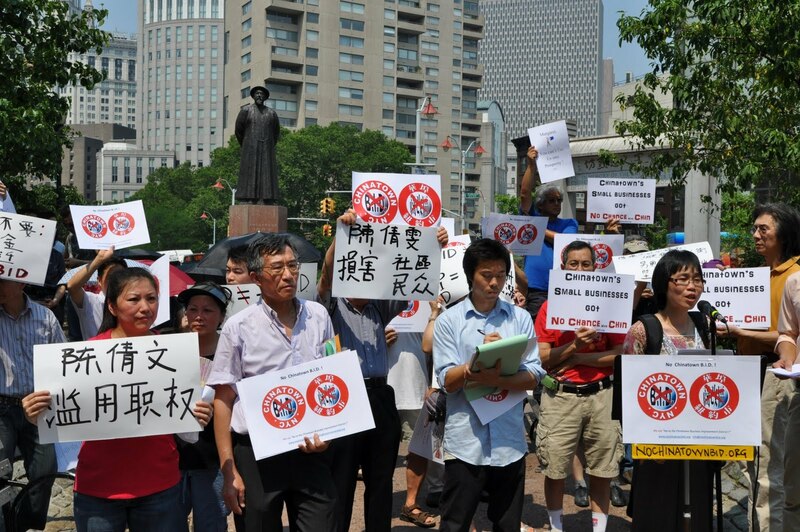 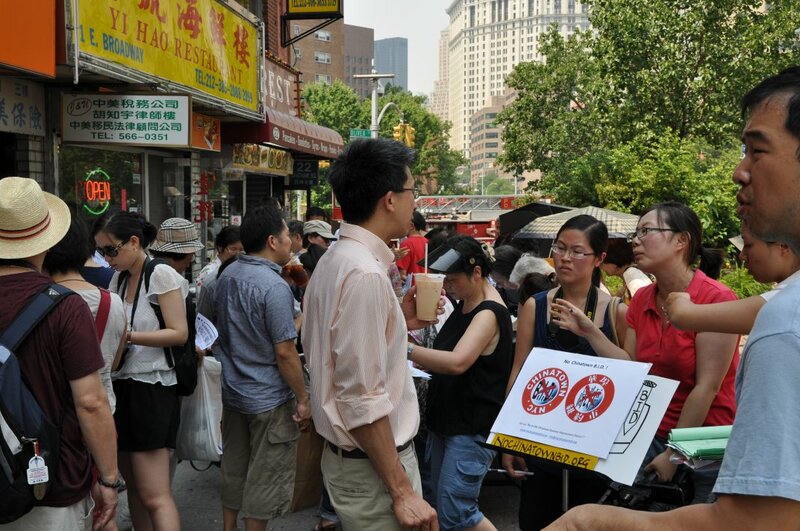 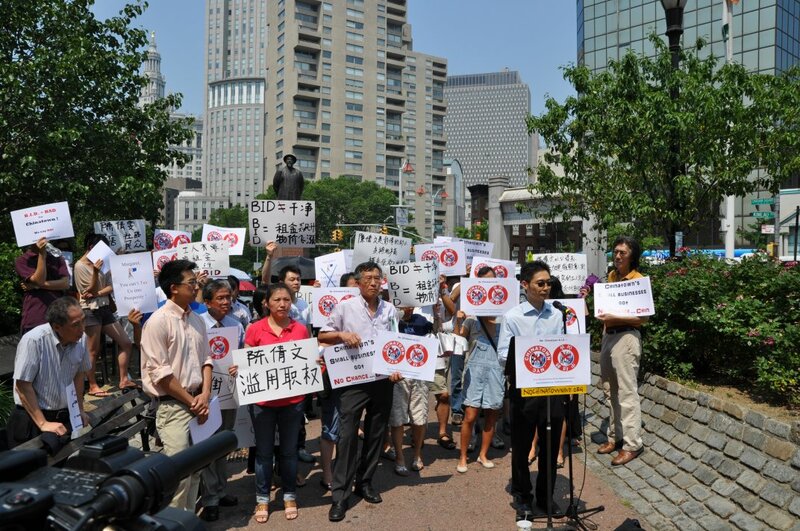 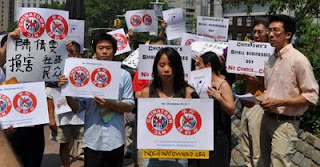 "You can't tax us into prosperity"
Property owners, small business owners, residents and real estate professionals took to the streets today in blistering 95 degree heat to protest against the formation of a Chinatown Business Improvement District. 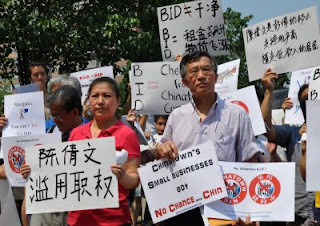 Of particular emphasis at the rally was the unified opinion of the property and small business owners who declared over and over again they will not support Margaret Chin because she supports the BID. While the rally was going on volunteers provided help in English and Chinese for property owners unfamiliar with the process of how to fill out the official BID objection form. 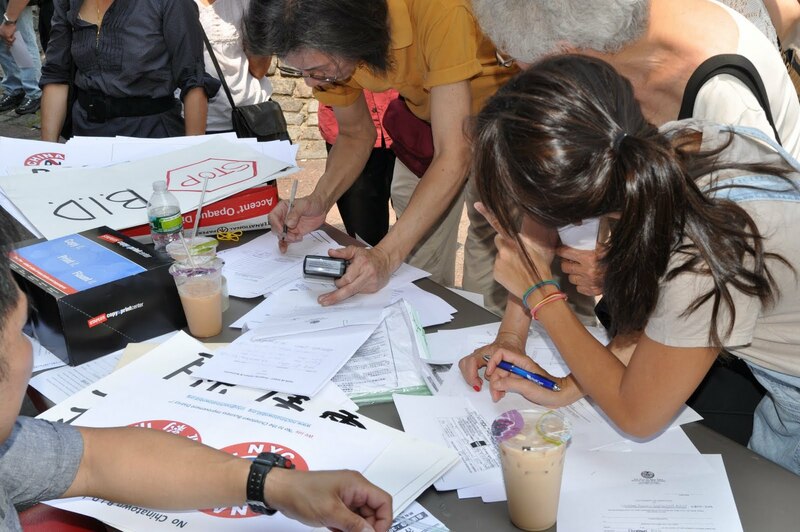 Dozens at a time were signing objection forms with a notary public on site to stamp each form. 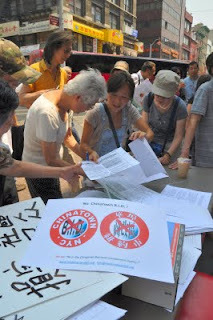 Yet more volunteers were on hand to provide computer help in obtaining the deed necessary by law to accompany each form for each property wishing to object. 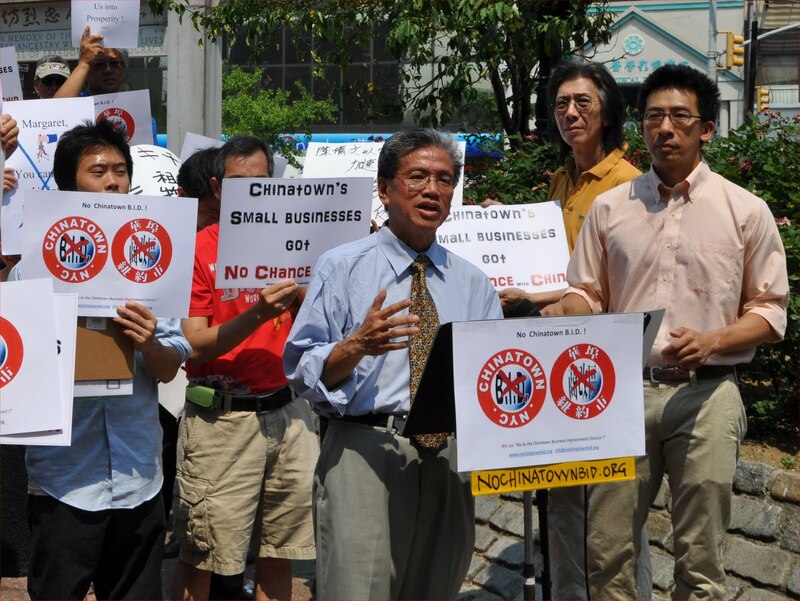 This anti-Business Improvement District movement is growing daily. Margaret Chin has really dropped the ball here, blatantly ignoring the appeals of Chinatown property owners who are very strongly opposing this ADDITIONAL PERMANENT TAX DURING A RECESSION!!! 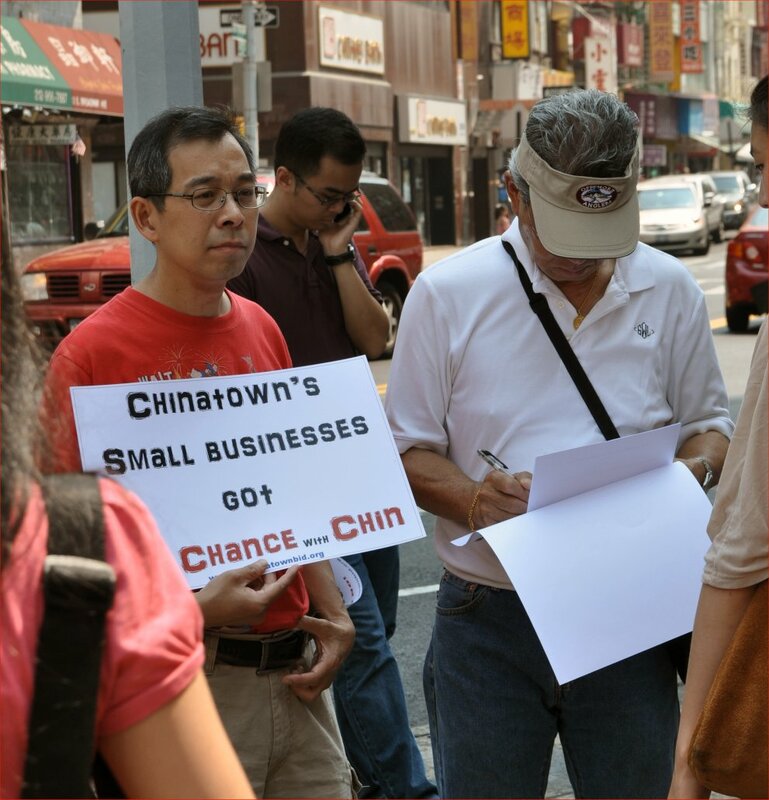 Small businesses and the hundreds of property who oppose this BID will remember this fiercely at Chin's non-re-election!! !